Tonight we met friends at The Strong National Museum of Play to check out the pinball and video games in their boardwalk arcade exhibit. I really liked this Hulk pinball machine. 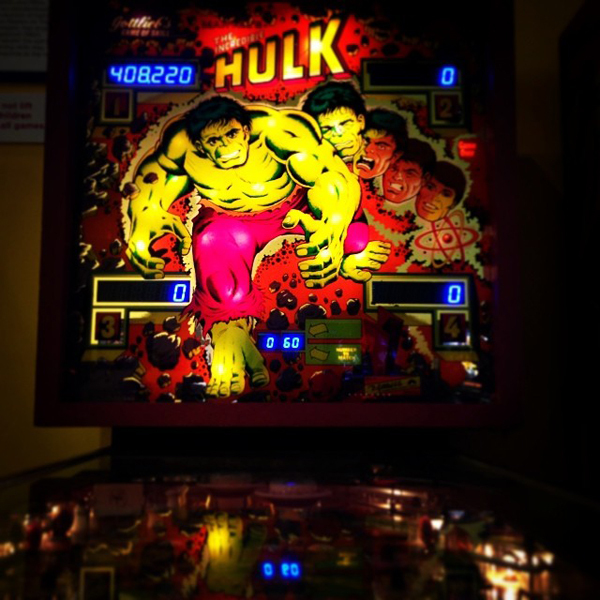 Hulk is my favorite Marvel character and seems especially appropriate for pinball. 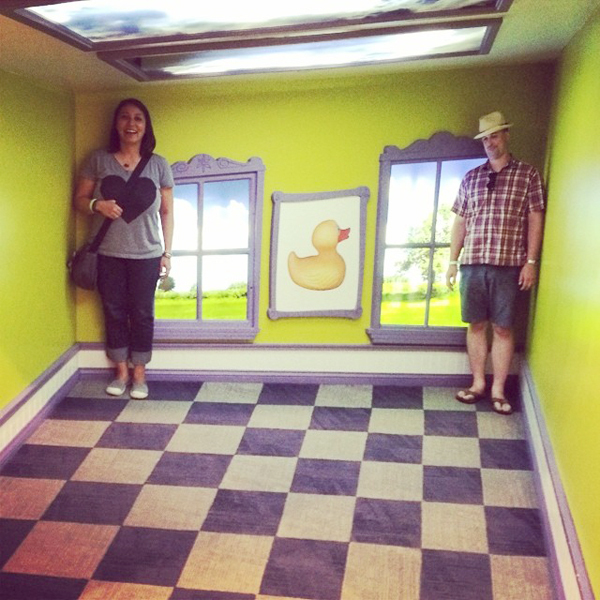 Everyone got a kick out of this interactive exhibit. Finally... I measure up!